As the regular season tips off a little later today, here are 10 things worth asking about this weekend and beyond. Who takes a step forward for North Carolina? With Justin Jackson, Kennedy Meeks, Isaiah Hicks and Tony Bradley all gone — not to mention Joel Berry injured — North Carolina will be looking to replace a total of 64.4 points per game. The Tar Heels begin the season against a Northern Iowa team that likes to slow the pace and limit possessions. North Carolina cannot afford to be careless with the ball tonight. What will Gonzaga be this season? The ‘Zags have won at least a share of the WCC regular season title in each of the past five seasons, yet they received only one of the 10 first place votes in the WCC preseason coaches poll. Three of its four double-figure scorers from last season are now gone — who will step up? 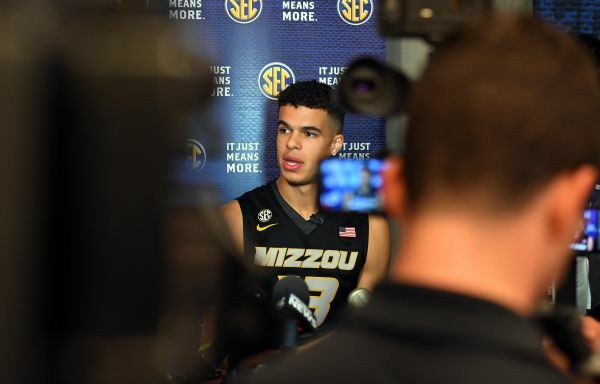 How far can Michael Porter Jr. carry Missouri? : Missouri finished last season 3-20 against teams ranked in the KenPom top 100. The Tigers get an immediate chance to reverse that trend against Iowa State tonight with freshman sensation Michael Porter, Jr., who recently became only the fifth true freshman voted on to the preseason AP All-American team. The Impact of the FBI Investigation, Part I – Louisville: How will Louisville fare with a new face leading the program? The Cardinals return second-leading scorer Quentin Snider, but will he be the player who scored in double-figures in just seven of his first 14 games or the player who finished the year with double-figures in eight of his final 10? The Impact of the FBI Investigation, Part II – Alabama: Collin Sexton is a highly regarded top-10 recruit who is expected to lead the Crimson Tide this season. Unfortunately for Alabama, Sexton was ruled ineligible this week; fortunately for Alabama, the NCAA reversed course two days later and revised Sexton’s punishment to a simple one-game suspension. 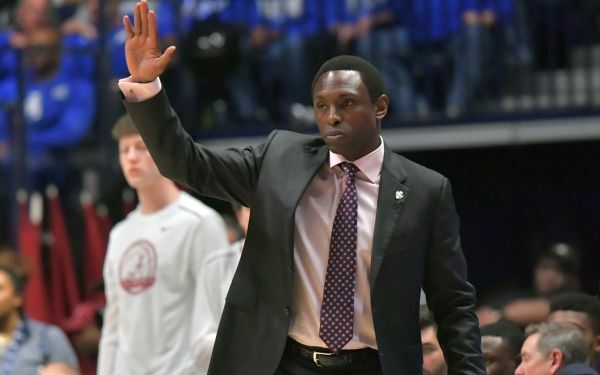 With a challenging non-conference schedule ahead, the Tide are going to need him. How efficient will UCLA be without Lonzo Ball? : With Lonzo Ball, T.J. Leaf, Bryce Alford and Isaac Hamilton all missing in Westwood, last season’s second-best offense will have big shoes to fill. Will Aaron Holiday and freshman guard Jaylen Hands be able to continue running the high-octane attack that the Bruins enjoyed last season? Will Michigan State protect the basketball? The last time Michigan State won fewer than 27 games overall and 12 Big Ten contests was in 2010-11 (19-15, 9-9 Big Ten) — Sparty then proceeded to go 29-8 and earn a #1 seed in the following season. While preseason All-American forward Miles Bridges is the natural focus, Michigan State’s success this season could be linked directly to its ability to protect the basketball. The Spartans finished among the bottom 50 nationally in turnover rate (20.5%) last season. Will Duke’s freshman bigs need time to adapt? One year ago at this time, Duke boasted three of the top 15 incoming recruits in college basketball, including the big man duo of Harry Giles and Marques Bolden. The oft-injured pair wound up scoring in double-figures just twice in 50 combined games. This year’s duo of Marvin Bagley III and Wendell Carter, Jr., are both supremely talented, but their ability to play at a consistently high level will be key in Duke’s quest for another title. The freshman pair will be tested early and often next week with a big Champions Classic match-up against Michigan State’s Miles Bridges and its bruising defense. Will TCU meet its high expectations? TCU was picked to finish dead last in the Big 12 last season; this season, TCU was picked to finish third. Jamie Dixon’s squad is coming off of a season in which it upset Kansas in the Big 12 Tournament and ultimately won the NIT Championship. Keep in mind, however, that the last three NIT champions have missed the next season’s NCAA Tournament. TCU would like to buck that trend and appears ready to do so in returning its top six scorers, including three players who averaged at least 10.0 PPG. Will Bucknell bite another SEC team? Eventual Patriot League champion Bucknell won at Vanderbilt last season and would like to repeat the magic again this year. The Bison finish their opening weekend this season with a trip to Arkansas against a Razorback team that lost three of its four leading scorers from last season. Will lightning strike twice? This entry was posted on Friday, November 10th, 2017 at 8:31 am by Matt Eisenberg	and is filed under 2017-18 Season Preview, feature. Tagged: alabama, bucknell, collin sexton, david padgett, duke, gonzaga, jaylen hands, louisville, michael porter jr, michigan state, Miles Bridges, missouri, north carolina, tcu, ucla. You can follow any responses to this entry through the RSS 2.0 feed. You can leave a response, or trackback from your own site.